‘Galway Girl’ performed by Endless Knot at The Windmill Inn, Ashford.. 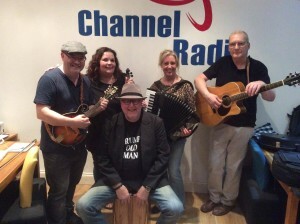 Endless Knot will be bringing their take on popular Folk covers this Saturday afternoon! During an Americana Festival at The Windmill Inn, Ashford I managed to record them in action performing ‘Galway Girl’….Follow the link below to see this great Folk band in action!